Today I’m going to talk about picking a word for the year. Picking a word is more than just a ‘new year resolution.’ While I did a post on that this is more than that to me. This is a word I’ve picked that I’m going to make define my year. I want it to map out and be my guideline for the year. So I took some time and I thought about want was up and coming this year, how I want it all the play out, and the plans I have set in place I want to make happen. Based on all that I thought of a few words that could help me and while doing that I had to realize and come face to face with what was holding me back. Fear. I’m afraid. Afraid of the unknown, afraid of change. I’m scared about the things to come in 2019 but I’m also so excited for them. So many things are about to be different, and it’s all for the better. I know this, I do, but that doesn’t stop me from being afraid. With that in mind, my word of 2019 is Courage. I’m taking 2019 and making it mine. No fears or doubts or worries about all the things to come will scare me away from making this my year. I will be brave in the face of the things I’m unsure of and I will not turn away. 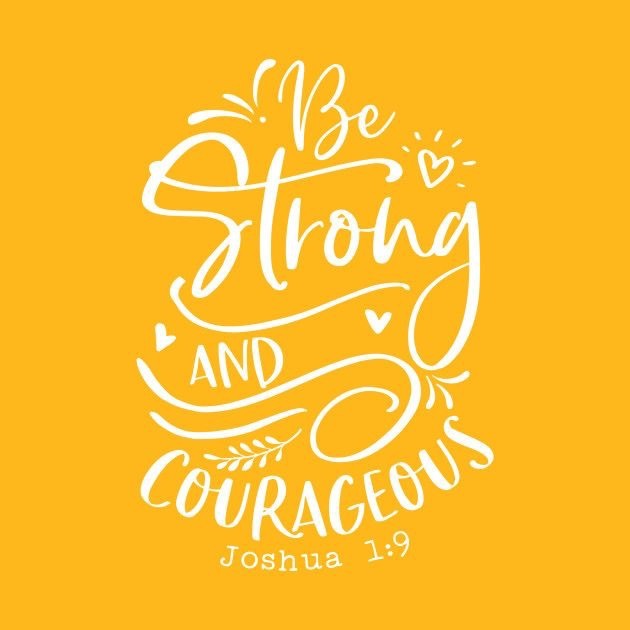 Joshua 1:9 says to be strong and courageous and that’s the plan. With that being said I’d love to know if any of Y’all have a word picked out for the year and if so what is it? Let me know it the comments below!